Manufacturer & Exporter of Liquid CO2 Transfer Pump. Our product range also comprises of CO2 Recovery Plant, CO2 Storage Tank and CO2 Generation Plant. 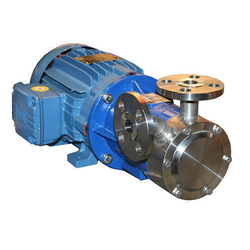 We are offering a wide range of Liquid CO2 Transfer Pump. Our product is fabricated by using supreme grade material by employing contemporary technologies. These have been designed and manufactured as per highest quality standards while ensuring safe and comfortable to use. Our range is manufactured using premier quality steels that are in compliance with international quality standards. Looking for Liquid CO2 Transfer Pump ?